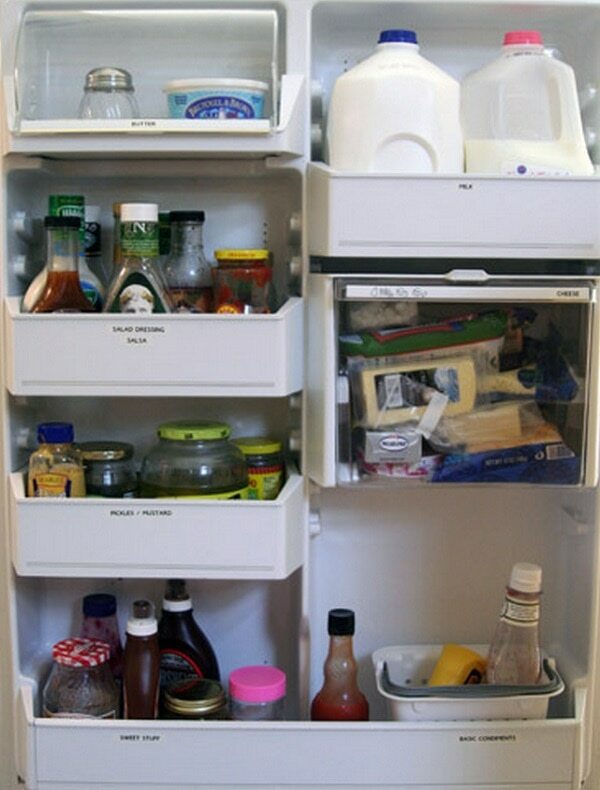 Even though you use it several times a day, the fridge can easily become an overlooked and cluttered mess. 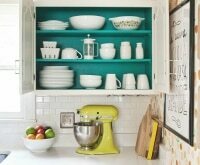 With spring cleaning season upon us, it’s time to tackle this hub of the kitchen. 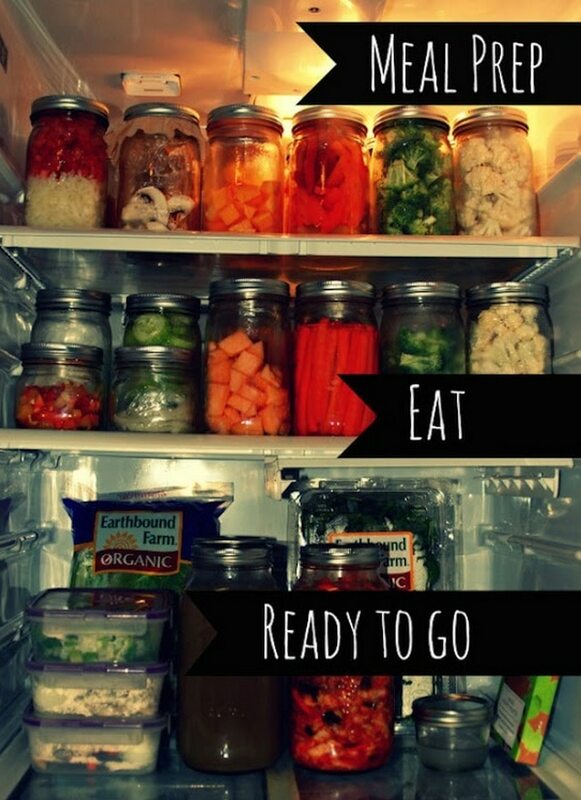 Tidy food storage will save you time, help you eat healthy, and even shrink your grocery bill. 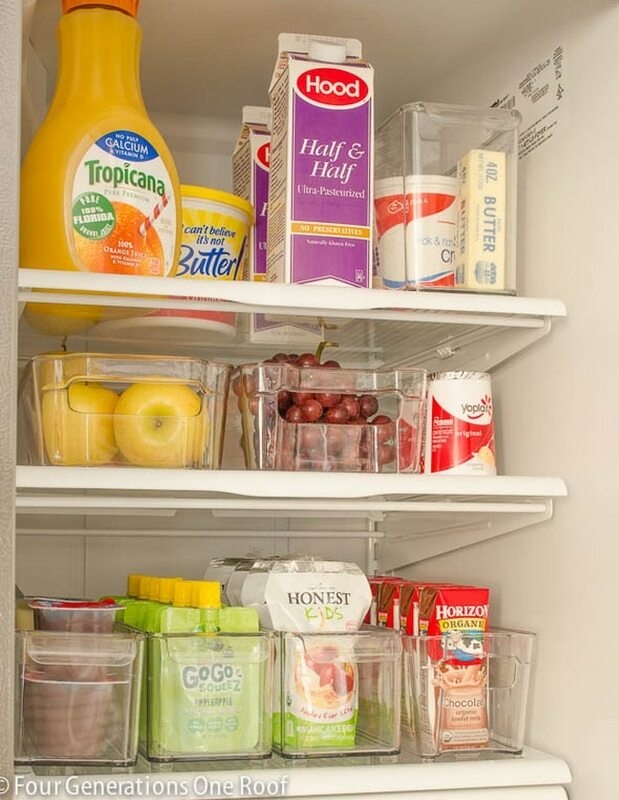 So read on and learn some of our home hacks secrets for long-lasting refrigerator organization! 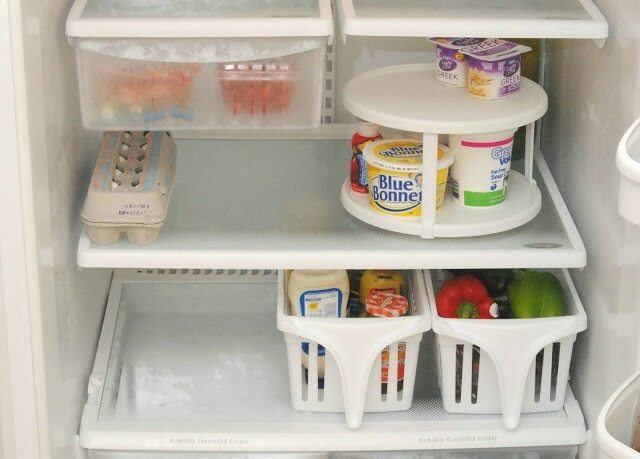 Help keep your refrigerator in tip-top shape with organization products and save with Bed Bath & Beyond promo codes, a Crate & Barrel coupon, and The Container Store promo codes! Washi tape, which is easily removable and inexpensive, allows you to quickly make new labels for specific fridge items. In addition to marking contents, you can make a note of expiration or creation dates. (Streamlining storage containers is also visually appealing; try mason jars for condiments and sauces, and parchment paper and bakers twine for meats and cheeses). 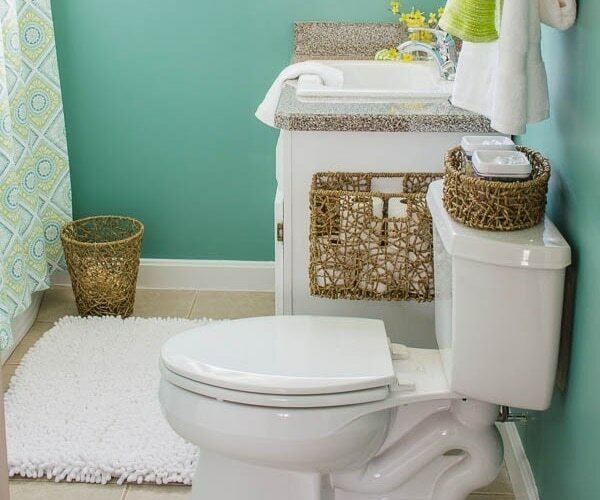 Get easy access to everyday culinary essentials with a Lazy Susan. 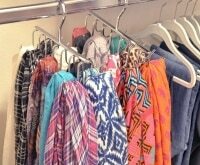 Simply spin it around to grab those cartons, bottles, and jars that would otherwise be hiding at the back of the shelf. 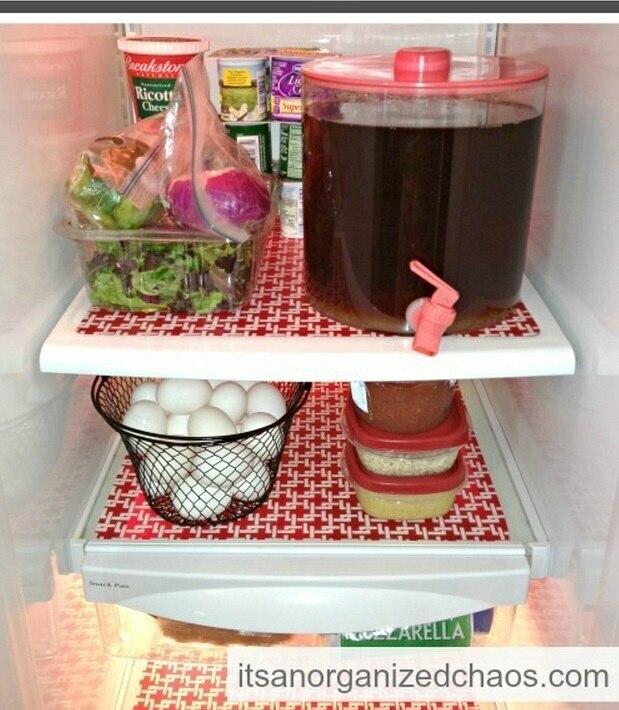 Keep fridge contents from sliding around with plastic mats. You can make your own from pretty patterned placemats, as done here, or buy them. Make good use of the awkward space underneath the meat and cheese drawer for stashing wine bottles and to keep them from rolling around, buy a durable plastic drawer like this one. 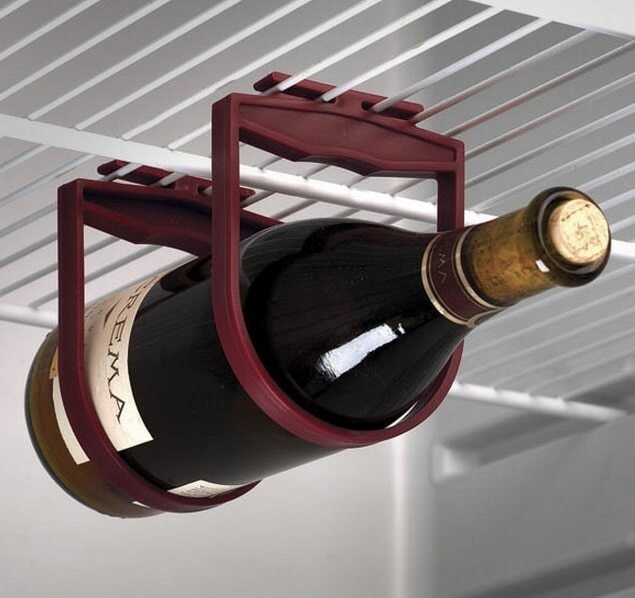 Or, hang them using a wine clip so truly no space goes to waste. Keep track of what’s inside by using a dry erase marker to write lists of contents on the fridge door (best if you have neat handwriting). You’ll have a better idea of the ingredients, produce, and leftovers you have on hand, which makes planning and grocery shopping easier. 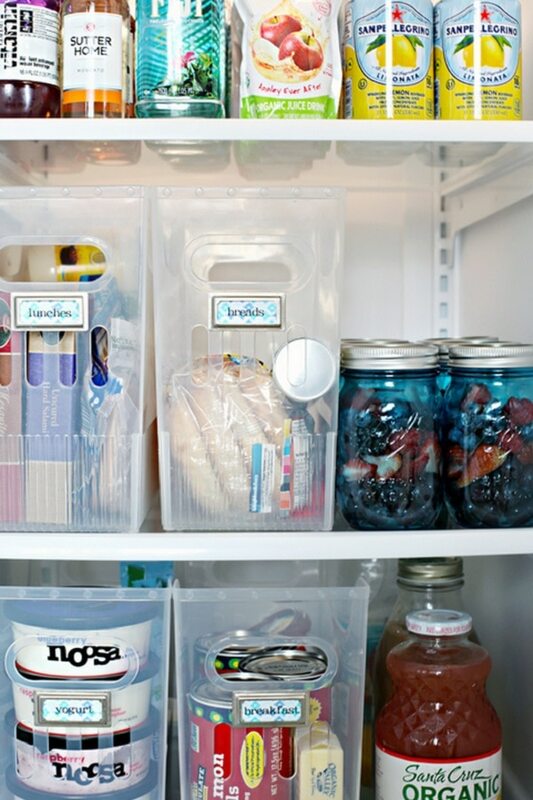 Clear plastic storage pull-out bins are great for organizing everything from snacks to produce and juice boxes. For a more efficient use of space, be sure to discard those cardboard boxes that some foods come in prior to placing them in the fridge. 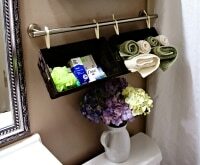 If you just want to keep track of designated contents, labeling those storage bins ups the organizational ante. Go one step further with adhesive bookplate labels that do the trick. 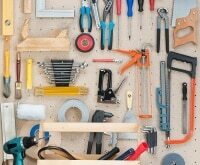 The right tools will make organizing that much easier. 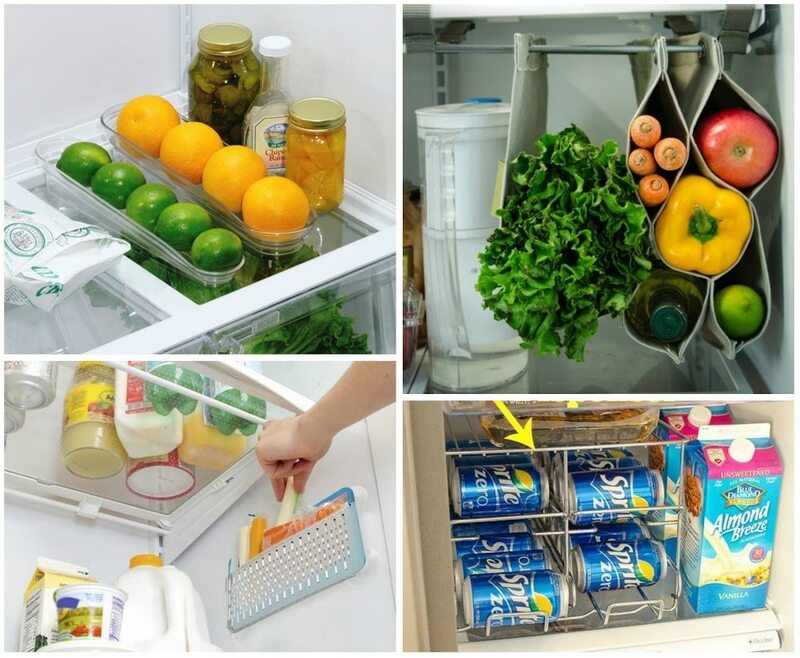 Depending on your fridge space and its typical contents, consider getting a fruit holder, soda can dispenser, wall pouch, or fabric hanger for produce and bottles. Proper placement ensures a longer shelf life. The crisper drawer with low humidity is ideal for fruits; the one with high humidity is best for vegetables. 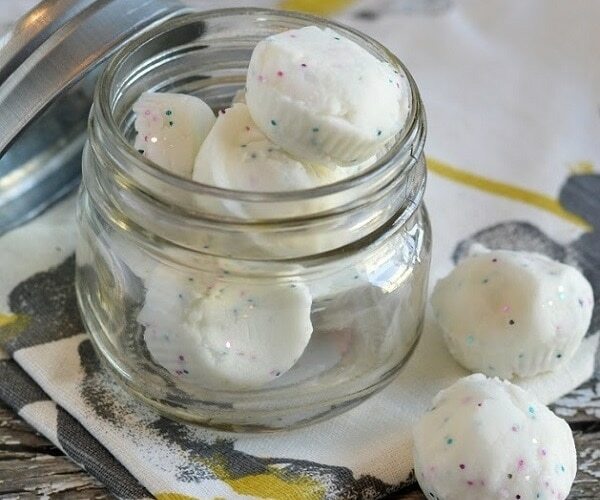 Keep butter and cheeses that don’t require very cold temperatures in the door compartment, while the rest of the door goes to foods high in vinegar, salt, and other preservatives. Milk and eggs should be stored toward the back on the middle or top shelf where temperatures are stable, and meat should be stored on the bottom drawer to avoid drippings. 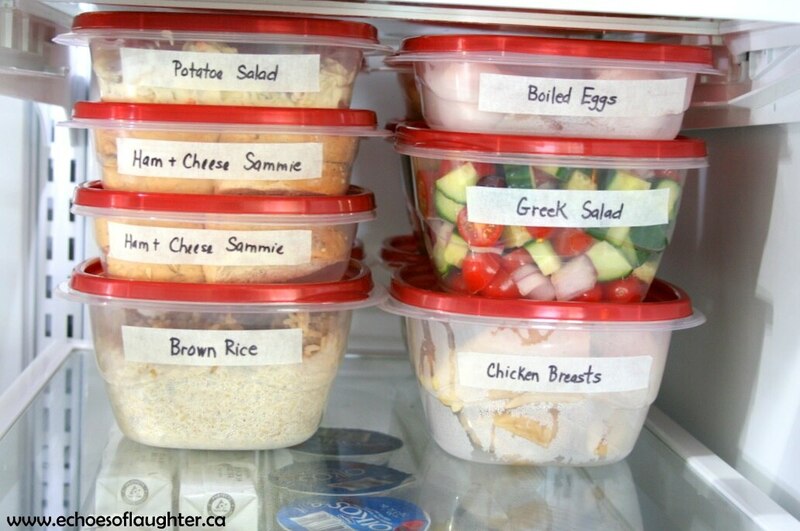 Invest in matching tupperware containers so they’re easier to stack, maximizing your fridge space. Don’t forget to label them! Don’t let good food go to waste. 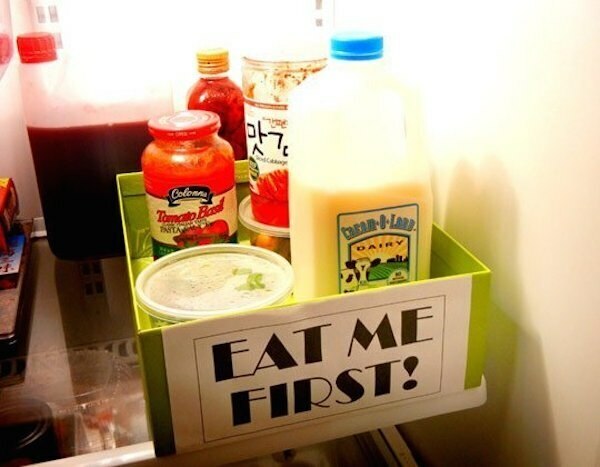 Make an “Eat Me First” bin for foods whose expiration dates are approaching. 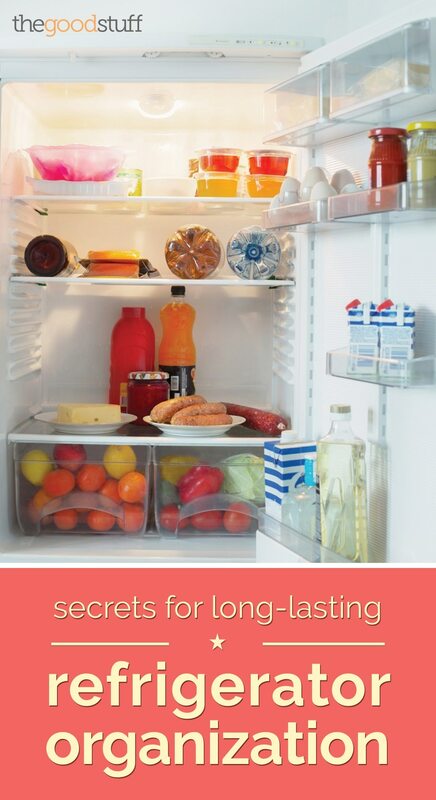 Not sure how long something lasts in the fridge (or freezer or pantry)? Check out this helpful guide. Once everything is in its right place, be sure to wipe down your fridge regularly. 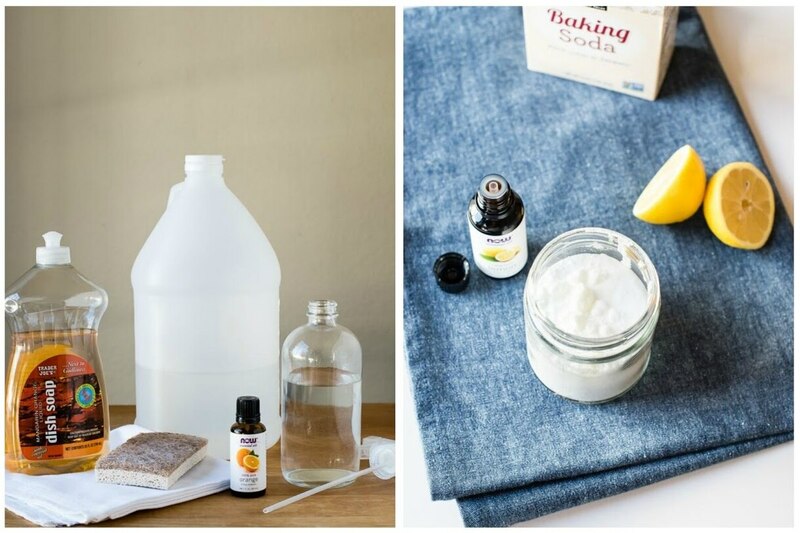 You can make your own cleaner out of water, vinegar, dish soap, and orange essential oil. 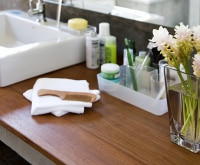 Saturate tough stains, and use smaller objects like cotton balls or Q-tips for nooks and crannies. 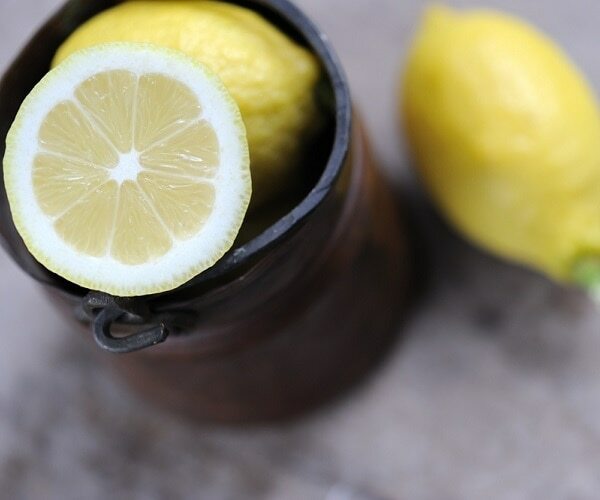 Then keep your fridge smelling fresh and clean with deodorizer made from baking soda and essential oils. 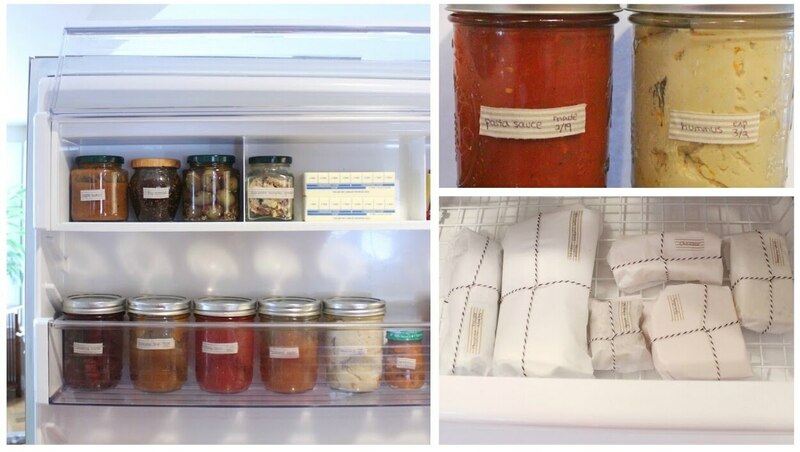 Sort fridge contents by their level of preparedness: a top shelf for meal preparation ingredients, a middle shelf for snacks, and a bottom shelf for everything else (think leftovers). 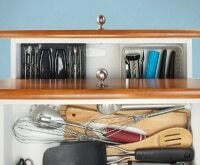 This will look different for everyone else depending on what you consider to be culinary staples, but the overall approach is a winning way to organize. 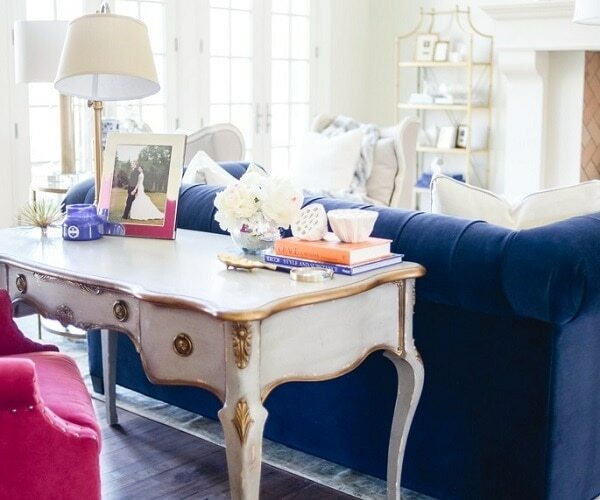 Avoid letting all the cold air rush out while you search for a particular open. 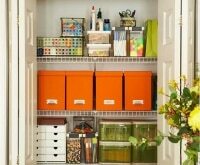 Label each door compartment to ensure you always return foods to their proper place and can easily find them when the time comes. 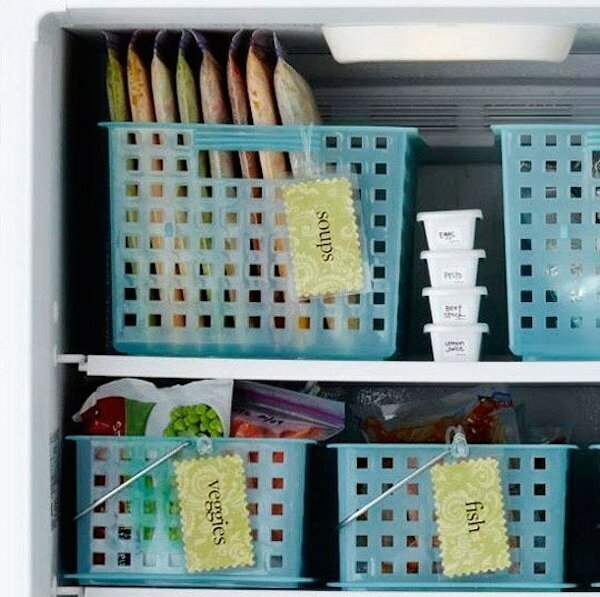 Since the freezer is largely used for longer-term storage, it’s crucial to keep it orderly. Store frozen foods in labeled plastic bins (toiletry caddies and luggage tags do the trick). 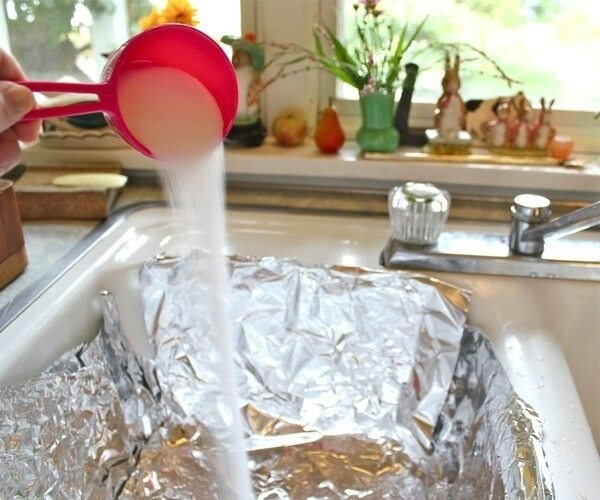 Keep liquids like soup vertically sorted in plastic bags to maximize storage space. Start spring cleaning season off right with a spick and span refrigerator. 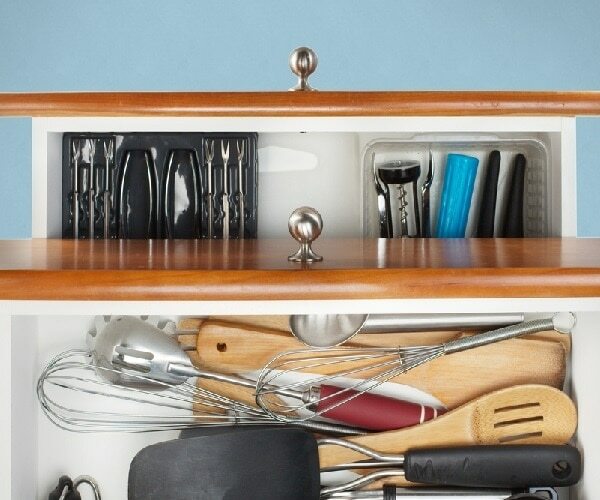 Since it’s the central feature of the kitchen, keeping it orderly will save time, money, and mental wherewithal. 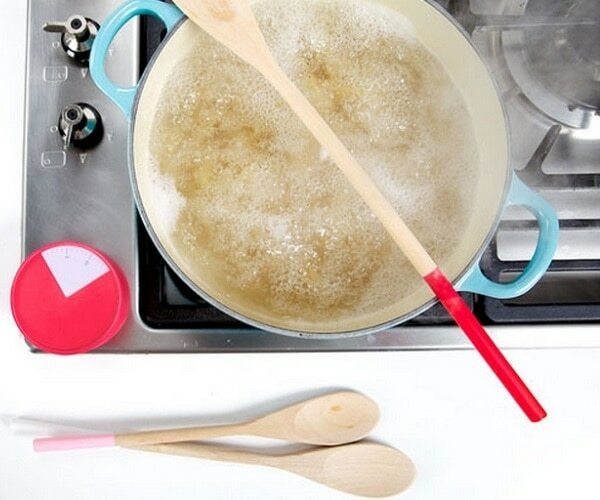 Of course, don’t forget to fill it with delicious and nutritious food! I think a lot of their storage containers take up more usable space than they save. 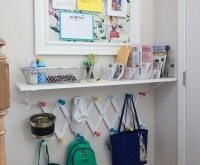 For instance, the hanging, sectioned container that looks a little like a shoe container for a closet. It totally blocks the space behind and under it. The rest of it is just common sense. I also think using a lazy Susan uses WAY too much valuable fridge space. Maybe I’m missing something here. 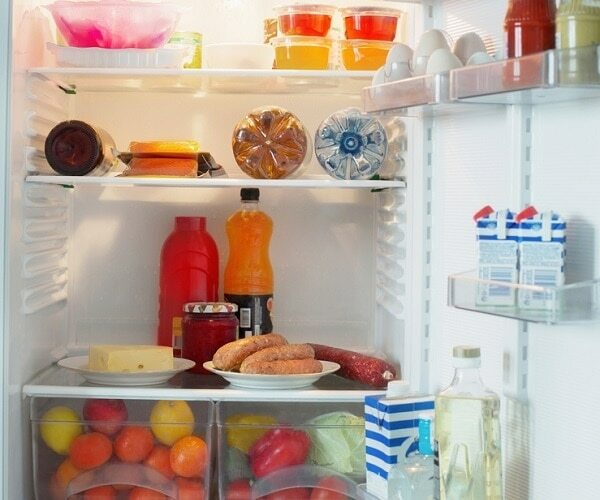 What’s the best way you’ve found to keep the fridge in order? We’d love to do a follow-up post with our reader’s great advice. I tried the writing on the fridge door with a dry erase marker and it caused more problems than it solved, specially with children in the house. If someone rubs against the door your list is no longer on the fridge it is on skin or clothing. You then spend time getting black steaks out of clothing or getting it off the children themselves. I can tell you that it comes off the fridge much easier than it comes off skin or clothing. Then, depending on how much got rubbed off, you may have to go through the fridge to rewrite the list . A much easier idea is to actually write the list on paper and use a magnet to hang it on the fridge. 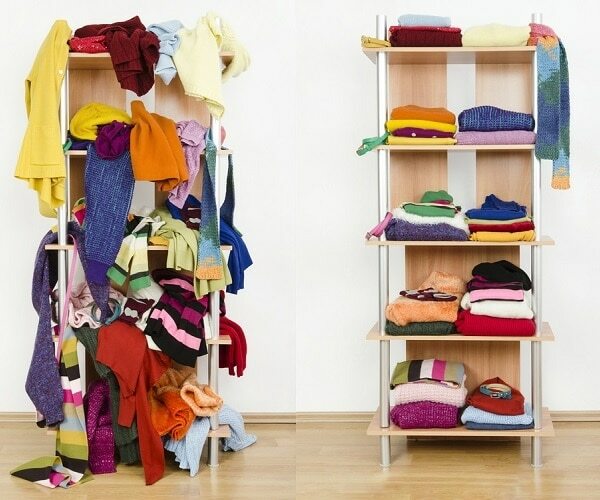 It is no muss, no fuss, and no extra laundry work. As a bonus you can take the list with you to the grocery store. Very good point, and thank you for the tip! 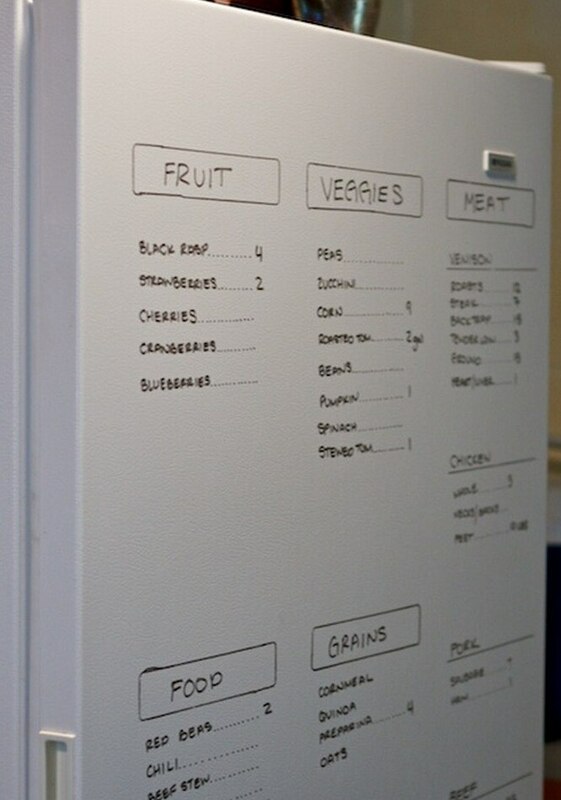 Along with the paper list you suggested, another option might be a smaller dry erase board that’s stuck to the fridge with magnets, as well. We think if you put it up high enough children would be less likely to rub against it. :) Of course, you can’t really take a dry erase board with you to the store like you pointed out! Thanks for sharing with us, and we agree! Life is short, let’s all have fun and enjoy ourselves!